Last weekend saw the 2017 round of ‘Bart’s Bash’. 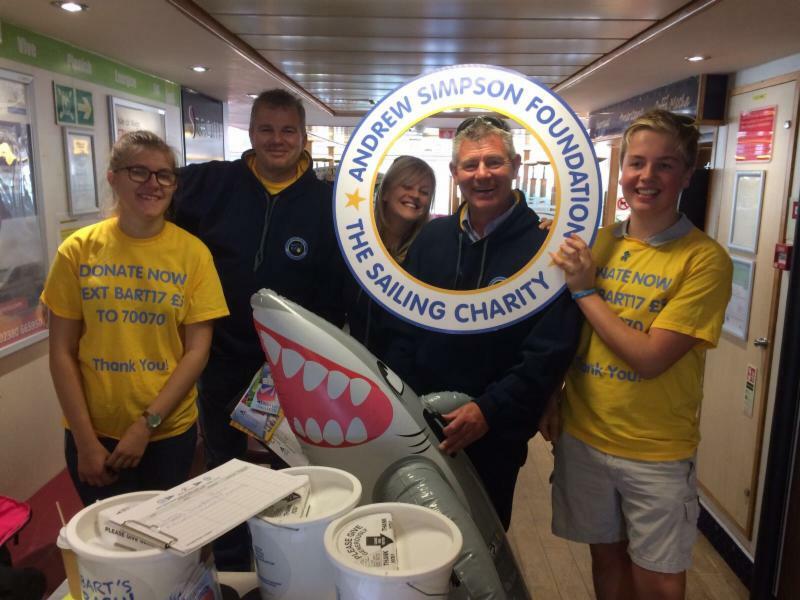 Registered charity ‘Andrew Simpson Sailing Foundation’ now also referred to as the ‘Andrew Simpson Foundation: The Sailing Charity’, was set up in memory of, and inspired by the Olympic sailing Gold medallist, Andrew ‘Bart’ Simpson. Founding Trustees are Sir Ben Ainslie, Iain Percy OBE and Andrew’s wife Leah. A yearly grant-giving process from the charity offers a wide range of support, both financial and/or practical to not-for-profit sailing initiatives and related organisations around the world. Over the weekend of 16th/17th September the World’s largest sailing event was run by sailing clubs, community sailing programmes, sail training centres, yacht clubs, scout groups, sea cadets and even groups of sailors, all around the World. The main aims of the event are to increase international awareness of participation in sailing, and to raise funds for the Andrew Simpson Foundation to help support a range of sustainable projects, using sailing and watersports to improve the lives of children and young people globally. For this year, the fourth Bart’s Bash, there were 589 venues from across 79 countries signed up to take part in this extraordinary participation and fundraising event for the Andrew Simpson Foundation. This Foundation continues to promote the sport and all the benefits it brings to people of all abilities. Several Islands in the Caribbean affected by Hurricane Irma have taken part in Bart’s Bash in previous years and were due to take part in 2017. However, in the light of recent events, the Andrew Simpson Foundation has pledged to use the funds raised from this year’s Bart’s Bash to help those affected rebuild their community sailing projects, allowing them to continue to deliver grassroots sailing programmes. One Key Event took place at the Weymouth & Portland National Sailing Academy (WPNSA) where top sailors joined with others for the sailing events. On the Island events included: Brading Haven Yacht Club (BHYC) – Bembridge, with members on board Red Funnel car ferry crossings between Southampton & the Isle of Wight with their fundraising activity (see above) and Cowes Paper Boat Club – Just for fun for those who can’t get on the water -launching from the Little Gloster.